With multiple payment resources available, finding secure and successful options requires research. Today, there are numerous ways to accept carwash payments. While cash transactions traditionally offered convenience for carwash owners, automated pay stations and credit card payments now create advantages for wash customers. The widespread adoption of automated and technology-based payment options shows that carwash operators are taking cues from successes in other industries. One way carwashes are updating their customer experience is by following the growing consumer trend of monthly subscription plans. In many facets of their lives, consumers are demanding a selection of individualized and specialized services paid for via a single monthly charge. Savvy business owners in many industries are offering tiered services for set monthly payments, and the success of these packages likely reveals a solid business plan for the future. In the world of carwash payments, one new player is online or e-commerce business. How could adding an e-commerce payment option to a website or app create even more conveniences for a carwash and its customers? Opinions sometimes differ on this topic. Often geographic location, average customer income level and a carwash’s format will affect the ideal payment options for a particular business. It can be hard, especially for new carwash investors, to know what new payment options to adopt. An owner will have to research, ask customers questions and experiment before he or she can settle on the perfect payment options for both the business and its loyal customers. That said, building a suite of payment options based on a successful loyalty program or monthly wash club is often a smart idea for owners investing in updated payment options. Gain access to multiple locations (if included). Carwashes have found great success offering these monthly plans, according to Bonnie Kimberlin, vice president of sales and marketing with DRB Systems. Comparing wash clubs to a Netflix subscription or a tanning salon membership, she states that people sign up for a monthly plan and agree to automated monthly payments. Club membership allows customers to use a wash (or washes) whenever they feel the need. 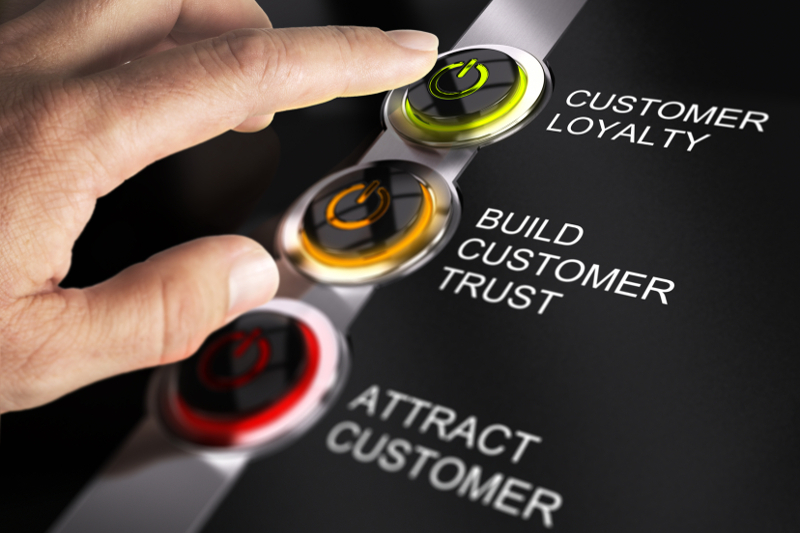 Jason Sears, communications manager with Innovative Control Systems (ICS), notes that loyalty programs and wash clubs also offer smart operators the tools to recognize and retain their best customers. The programs help customers feel appreciated, offer convenience and provide great value while enabling operators to build stronger relationships with those customers. Further, owners benefit from the predictable flow of monthly revenue. For multi-site carwash chains that have monthly wash clubs, upgraded payment systems offer the advantage of integration. A location can sell a gift card that can be redeemed at different sites. If the chain offers a monthly plan, the customer can use multiple washes with no access issues, Kimberlin says. Further, up-to-date payment systems allow owners to manage sales, revenue and costs from a remote location, according to Kimberlin. The flexible payment technology allows multi-site chains to work fluidly across all locations, and they also can assist when it comes to marketing services to customers. While cash was long thought of as the king of carwash payments, every operator has recognized that payment trends have changed. Over the past five years, consumers have become credit card dependent. In this payment environment, one of the biggest reasons a payment system needs to be upgraded is security, Kimberlin notes. Security problems with credit card information are now widespread, and large companies like Target and the healthcare company Anthem have had high-publicity security issues. Kimberlin explains that hackers outside of the U.S. are turning credit card information theft into a big business. They hack into open payment systems, steal credit card data and resell it to other individuals. The increase in credit card information theft is a result of the high number of credit card transactions that currently take place in mainstream retail. Due to these credit card payment issues, banks are issuing higher security chip credit cards. Today, a new payment player is on the rise. E-commerce, or online payments, has impacted how customers choose and ultimately purchase products and services, Sears says. In fact, the technology has become fully ingrained in the current business culture. In addition to the payment methodologies that have been used historically — cash, credit, etc. — a significant segment of today’s customer base now requires the convenience of paying using a carwash operator’s website or mobile app. This is true whether the purchase is for personal use or a gift for someone else. Sears states that savvy carwash operators have already updated their operations to accommodate the purchasing preferences of today’s customer by implementing an e-commerce strategy. Further, owners will need to anticipate the impact that future technologies will have on their customers’ purchasing preferences in order to stay ahead of the competition. Kimberlin notes that the company she works for does offer an e-commerce option, but there are also online sites where an owner can accept e-commerce payments. That said, she doesn’t think e-commerce will prove to be as big in the carwash industry as it can be in retail operations. When it comes to upgrading on-site systems and equipment for carwash payments, help is available to new and experienced carwash owners. Kimberlin’s company, for instance, will help an owner decide what he or she needs based a needs analysis. In addition, the company can help an owner with construction services, if needed, and a marketing and advertising services group is available to walk an owner through how to promote both the site upgrade and the car care business. “We look at the size of your lot, your ingress, your egress, your traffic counts, etc. We do a lot of demographic work upfront to say what would work for you, and then we help you package,” Kimberlin explains. If a person already knows what equipment or technology he or she wants, the company can also provide the products based on what the operator requires. Once installed, the owner is walked through training on the system and trained regarding how to sell the monthly plans. Also, an on-site support team can visit a wash, help an owner get started and help with a grand reopening, according to Kimberlin. Finally, there is access to an ongoing support staff of almost 100 people to help promote the services and use the system to help sell more monthly plans. One of the best learning opportunities covering new payment options would be carwash conventions. Kimberlin states that some of the more successful carwash operators go to the regional shows to learn about new technology. At the shows, business owners can learn how successful washes are selling their monthly plans. “You just need to read some of the case studies, spend some time talking to different POS equipment manufacturers and other carwash manufacturers and understand what it means to you,” Kimberlin explains. With all of the payment options available in retail and service businesses today, it is a given that each customer will have a preferred method of carwash payments. Their preference is linked to ease-of-use, security, financial incentives, etc. “Successful carwash operators have learned to accommodate and benefit from, those ever-changing preferences,” Sears concludes. Charles Brady is a freelance contributor.